Here's the (not-so-long) promised Senior Picspam, split into three parts because otherwise it would probably exceed some sort of LJ limit. The parts are not evenly divided with respect to the number of pictures, but rather I made divisions where I saw fit. Along with the pictures are lots of stories, too. Also, I apologize for poor quality on some images, those are ones I stole from people's Facebooks. And if you're one of the people I stole pics from, Thank you! Anyway, I hope you enjoy! Once upon a time, there was a princess named Devin, who always worked hard in school. Ever since she was a little girl, people told her about the magical senior year and how, when she finally made it there, everything would be all sparkly and wonderful. So all through high school, and especially through the crappy junior year, she kept thinking to herself, "Just wait until I'm a senior...my life will be like strawberry shortcake!" Well, we all know how that turned out. Senior year was no where near as magical as I imagined, but it was amazing in some very different ways. So now, here's my attempt to chronicle all that was terrible and wonderful (with heavy focus here on the wonderful) about my last year of high school. To start off, I'll return to something which was entirely magical, the Summer of Seven. That's Harry Potter, for those of you out of the loop, namely the release of movie 5 and book 7 within two weeks. And magical is about all I can think of to describe it. 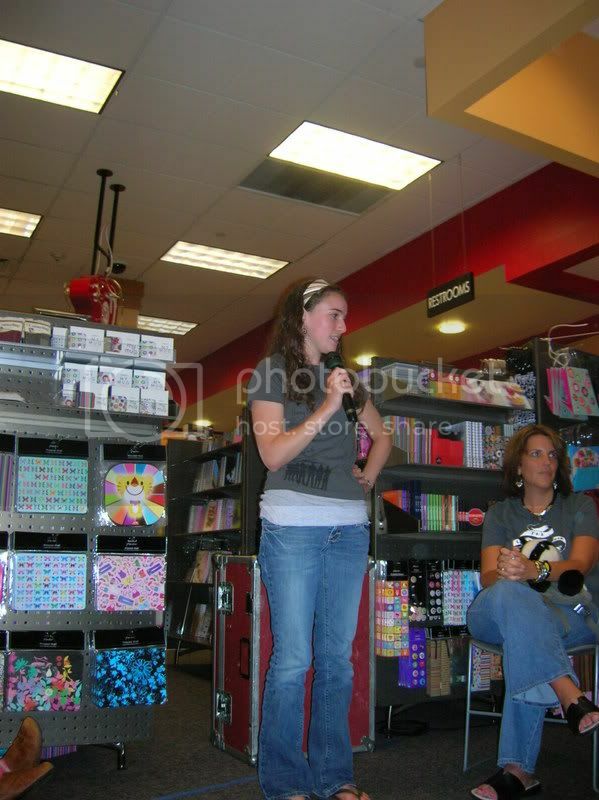 Yes, that's me, looking like a total dork. 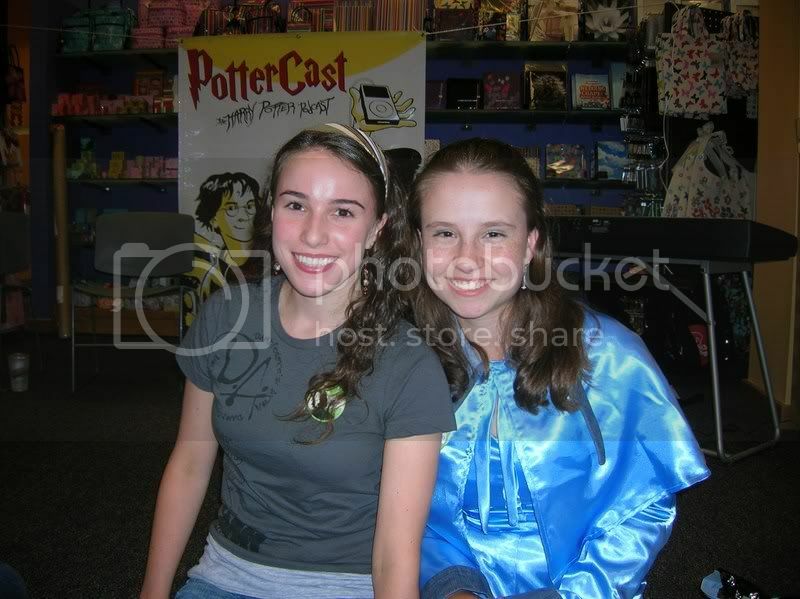 This was me getting all dressed up to watch Prisoner of Azkaban and Goblet of Fire during Christine's movie marathon party, the day before OotP was released. 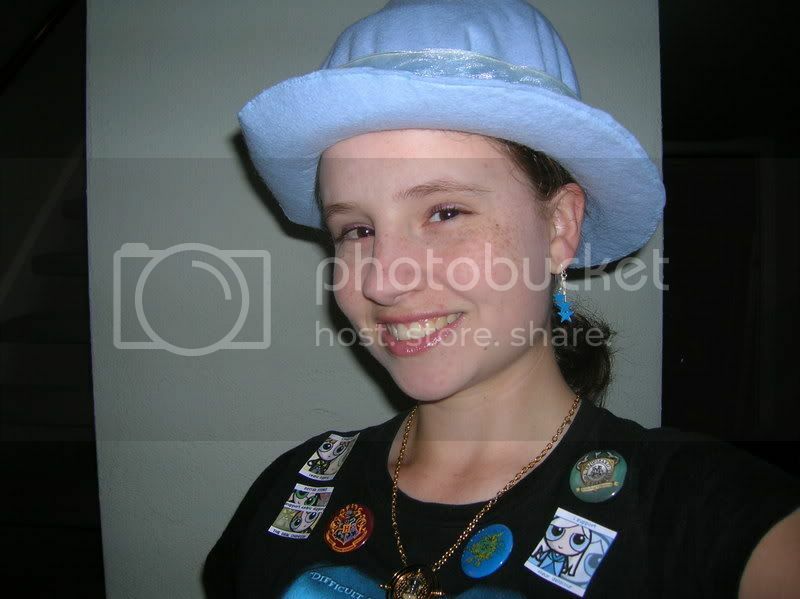 Note the Time Turner, Fleur Delacour hat, GoF shirt, and various champion pins. Including a "Potter Stinks, Support Cedric Diggory" one. 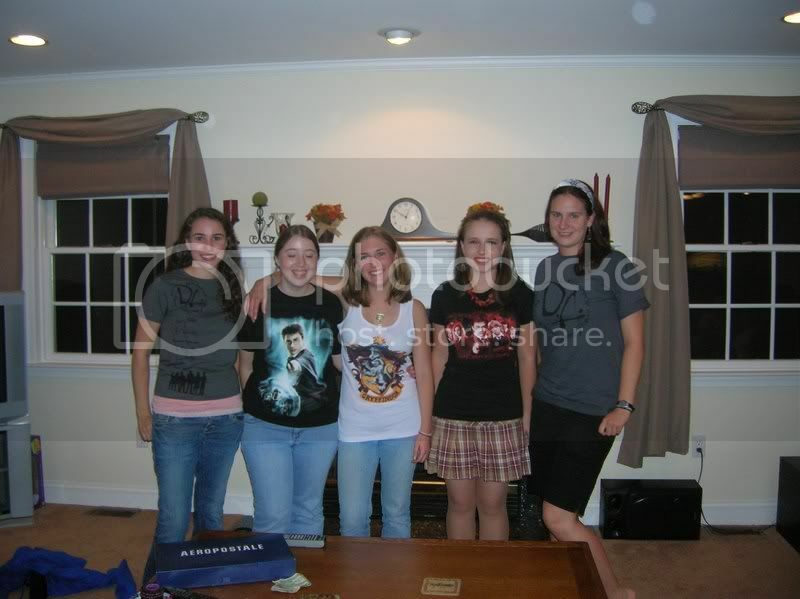 Now, all the girls with their HP shirts, ready to go see OotP at midnight! So Christine and I also took a nice drive up to Bridgewater, NJ, which is like two hours from here, to hear a live PotterCast! Which was beyond amazing, and not just because we were sitting in the front row. Actually, even the drive home, as we were blasting the Moaning Myrtles, was amazing too. 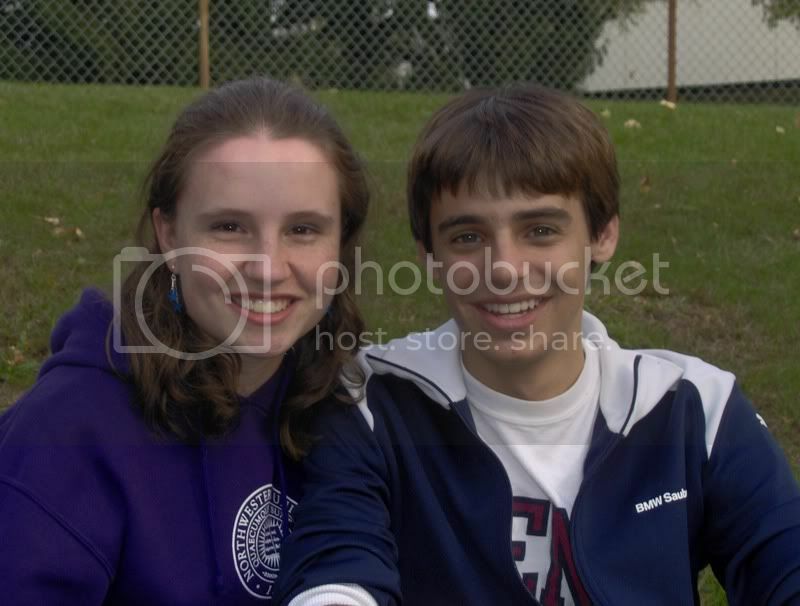 Christine and me. I'm in the Fleur Delacour costume that Hayley made for me, which impressed many a person. Christine totally owns in an alliterative names version of the Dueling Game. Yay Bellatrix Black! On to the night of the book release. 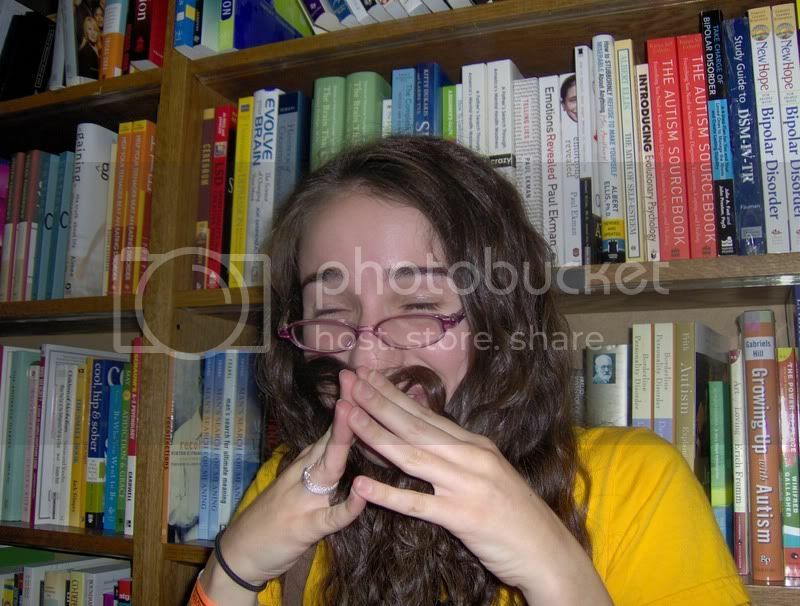 Here we have Christine trying to be Dumbledore, and failing because she was laughing so hard. 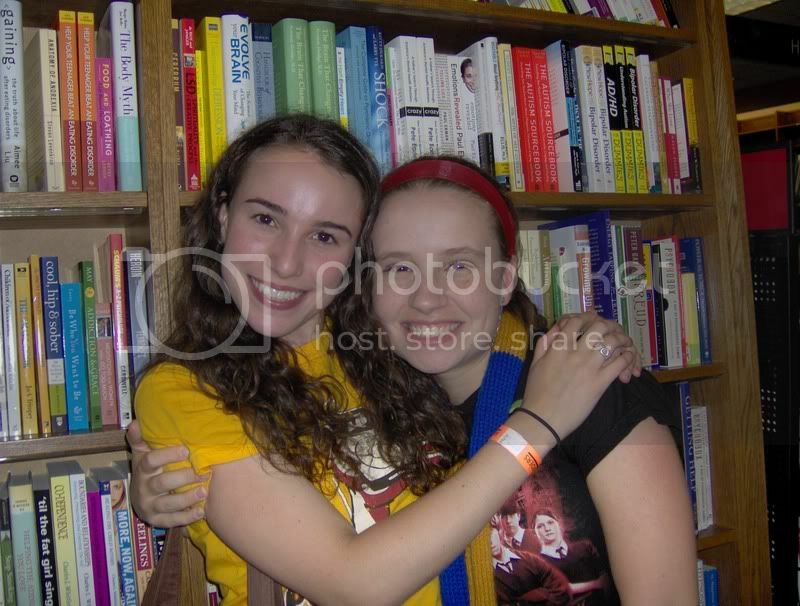 And now, one of my favorite pictures ever. Basically sums up all the awesomeness that was this summer. Now on to the school year. All I can say about that was that I discovered the Paramore song "Pressure" way too late. Because first semester was insanely hard. Not too many pictures here, partially because I was NOT having much fun, and also because my camera was broken. The second week of school, I had Thursday off, so I went that Thurs, Frid, and Satur. to visit Yale, Amherst/Smith, and Tufts. It was actually a really nice trip. I was stressed about some assignments, but in retrospect, they were really easy. Anyway, here's me pretending to be a Gilmore Girl outside the office of the Yale Daily News. 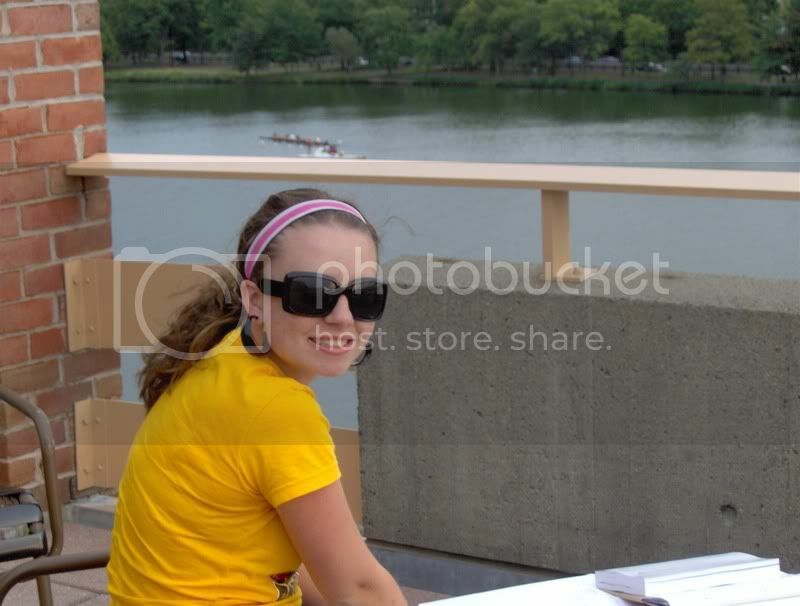 And here's me sitting on a balcony overlooking the Charles River in Boston, working on a math assignment. 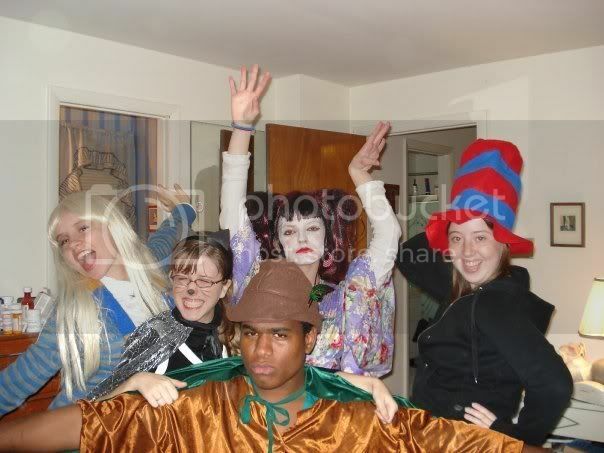 Me with some friends on Halloween (we actually managed to pass ourselves off as 8th graders at one house). 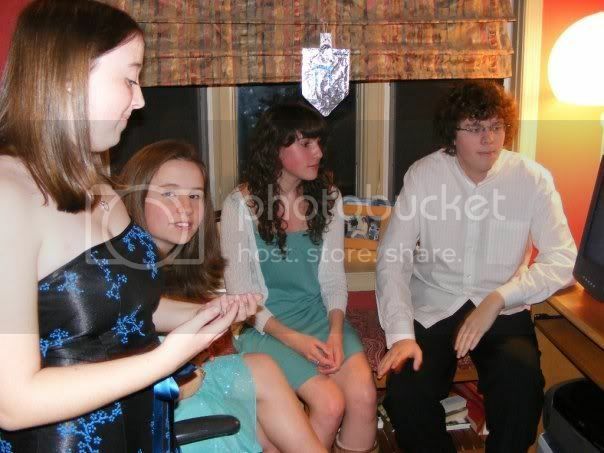 I was Luna Lovegood, my hero! For seniors, fall also means time to take Chatterbox photos. For those of you who don't know, chatterboxes are a section in the yearbook where each senior can write a message and have a picture or group of pictures cropped together displayed next to it. I took about 10 galillion pictures, but here are two I really liked. My chatterbox actually had four photos in it, though. 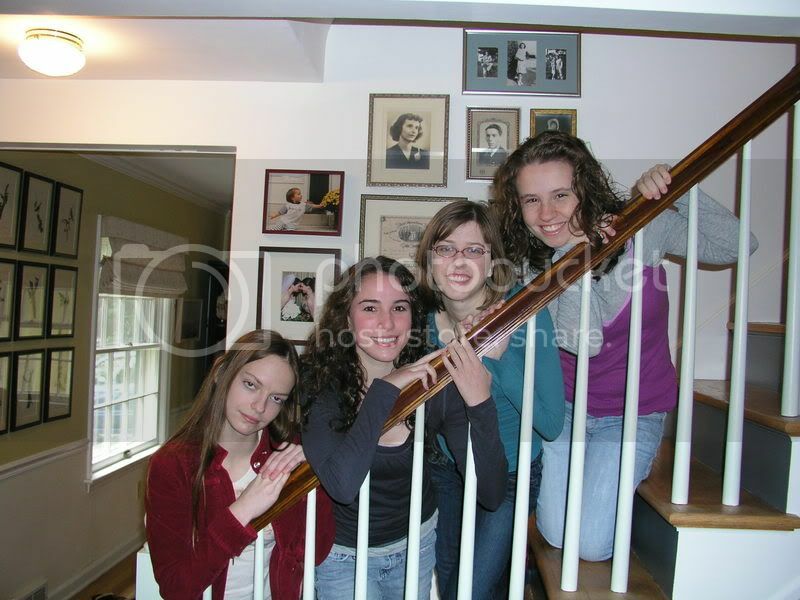 Caitlin, Hayley, Christine, and me on the stair at my Dad's house. And finally, one shot from New Years' Eve. If we look dead, its because none of us had any fun over winter break. I spent the whole thing doing Mr. Adams's research paper and my college apps. Seriously, I even worked for 3 hours on Christmas Day.